A traditional coffee maker with a retro design. Its unique line and visible units make Rapallo a special, refined coffee maker. 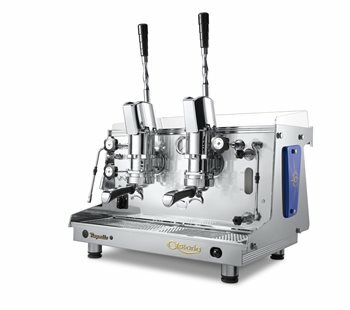 The manual lever machine, reliable and simple to use, is produced for those barmen who want to stick to the tried-and-true tradition of Italian espresso coffee. Please tell me about the quantity of electricity. How much ampere is required when using 8 hours electricity required for mobile use? How much capacity is required for the battery? The inverter is scheduled for 4000 W (surge 8000 W).